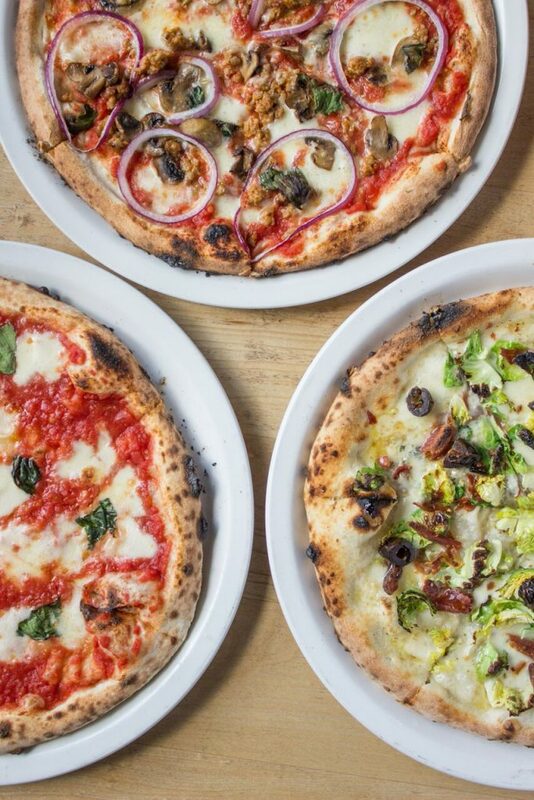 I am happy to participate once again in the Bloggers Pizza Challenge. 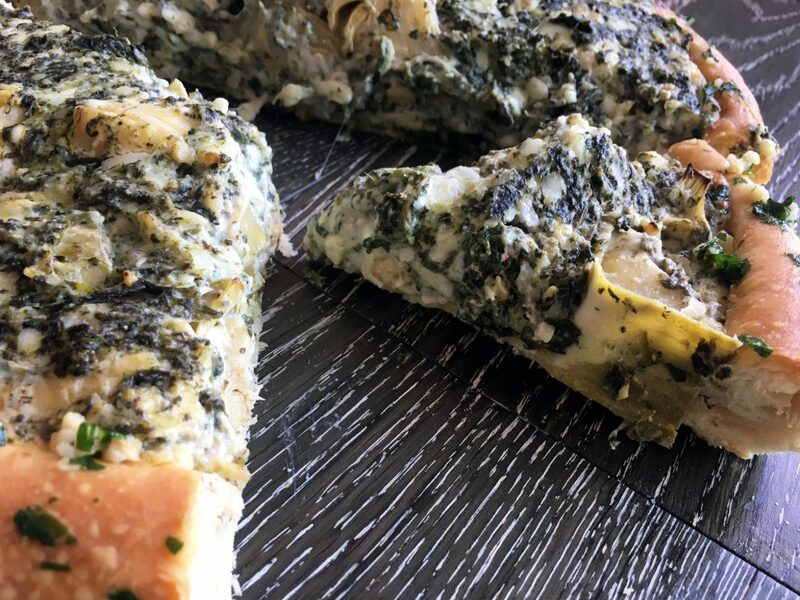 I am up against ten local food bloggers as we compete in making the best pizza using the mystery ingredients – Nduja, Tuscan antipasti, marinated artichoke hearts and feta or goat cheese. Thanks to The Italian Store (Scarpone’s) for sponsoring! When looking at the ingredients, one thing came to mind. Using Scarpone’s Marinated Artichoke Hearts and goat cheese, I recreated everyone’s favourite dip and put it on a pizza. 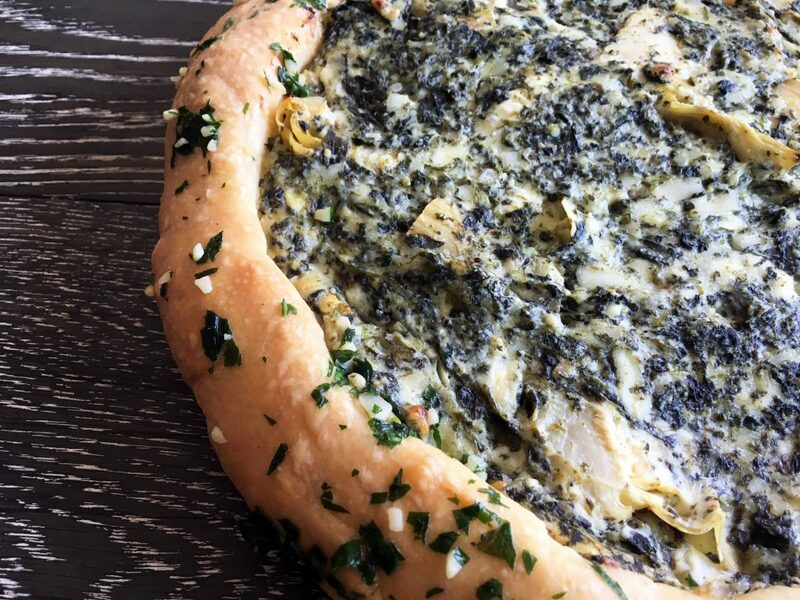 Spinach Artichoke Dip Pizza!! With three kinds of cheeses (I really do love cheese) and tangy artichokes and a crust brushed with garlic butter, this pizza turned out tasty and oh so cheesy. I am up against some tough competition but would love your votes. Voting closes on October 1st. Thank you! Below is the recipe for my pizza. Definitely give it a try. Roll out the dough and place it on a greased pan. Cook until the dough is half baked. While the crust is cooking, mix the remaining ingredients together. Spread the mixture on the dough and cook for another 20 minutes until the cheese is bubbling. « Calgary Fall Home Show – giveaway! !